Shopee, the leading e-commerce platform in Southeast Asia and Taiwan, has officially launched ‘Shopee Mall’, a new dedicated portal featuring thousands of products sold by leading brands and Shopee’s top sellers. Shopee Mall will give users direct access to a variety of prominent brands such as Nestle, Colgate-Palmolive, Xiaomi, Abbot, SM Store and many more. All products on Shopee Mall come with 7 Days Return Policy, 100% Authenticity Guarantee, Free Shipping and Cash on Delivery nationwide. Shopee Mall was conceptualized to solve shoppers’ concerns about authenticity, a major concern among buyers when shopping online. The newly launched portal caters to the demands of Filipino shoppers by allowing users to shop from their favourite brands on an integrated and secure platform. Additionally, with more local brands embracing e-commerce, Shopee Mall provides a platform for traditional brands and retailers to expand their digital presence, and reflects Shopee’s commitment to constantly innovate and enhance its platform, features, and services to best meet the needs of users. ● 7 Days Return Policy: Shoppers can enjoy hassle-free returns within 7 days for all Shopee Mall products. ● 100% Authenticity Guarantee: Serves to eliminate buyer concerns about product authenticity. Any shopper who receives a counterfeit product when purchasing from Shopee Mall is entitled to a 100% refund. 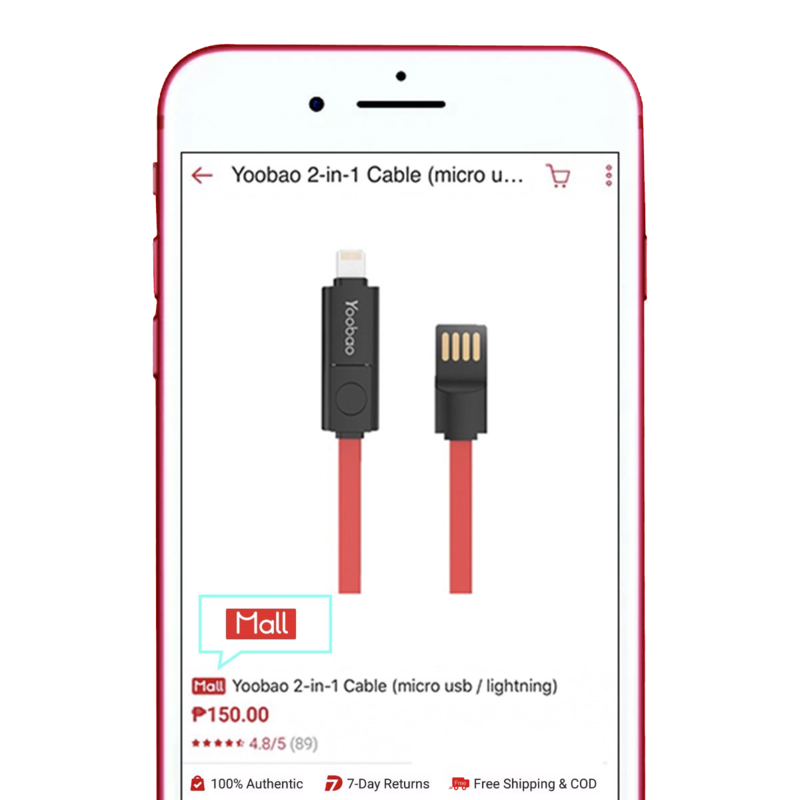 ● Free Shipping and Cash on Delivery nationwide: Shoppers can enjoy greater cost savings with free shipping nationwide on every order, subject to a minimum spend of 500 Pesos. Shopee Mall Grand Launch runs from 4 to 6 April, where users can look forward to upsized deals including massive discounts of up to 95% off, 44 peso deals, multiple flash sales daily, surprise voucher codes, and up to 10% Shopee coins cashback across all product categories on Shopee. Users can shop the “Only on Shopee” collection, featuring a delightful range of branded bundles and promotions that are only available on Shopee. With Shopee Mall, all your favourite brands are now just a few clicks away!